We spend a lot of money on energy. We use it to stay warm, keep cool, make dinner, light up the living room, take a hot shower and do a host of things that help create a safe, comfortable environment for ourselves. Unfortunately, a large portion of the energy you pay for goes to waste through inefficiencies hidden all over your home. A comprehensive home energy assessment is the best way to pinpoint these inefficiencies so you can take the right steps towards improving your home. Solar power systems derive clean, pure energy from the sun. Installing solar panels on your home will help combat greenhouse gas emissions, and reduces our collective dependence on fossil fuel. In addition to the environmental benefits, financial savings are substantial considering the rising costs from utilities. Energy efficient windows are an important consideration for both new and existing homes. Heat gain and heat loss through windows are responsible for 25%–30% of residential heating and cooling energy use. Verifying gaps, water leaks, seals, and overall condition is vital to efficiency and structural safety. No matter what kind of heating system you have in your home, you can save money and increase your comfort by properly maintaining and upgrading your equipment as it ages. A new high-efficiency heating system can often cut your fuel bills, and your furnace’s pollution output in half. Upgrading your furnace or boiler from 56% to 90%+ efficiency in an average cold-climate house will save 1.5 tons of carbon dioxide emissions each year if you heat with gas. However, an energy-efficient furnace alone will not have as great of an impact on your energy bills as using the whole-home upgrade approach. By combining proper equipment maintenance, and upgrading your home energy features such as: insulation, air sealing, and thermostat settings, you can save about 30% on your energy bill while reducing environmental emissions. where does your home stand? An energy assessment in general is a test of the entire home for wasted energy. We search inside and out for inefficiencies, and safety concerns using advanced equipment and testing techniques. 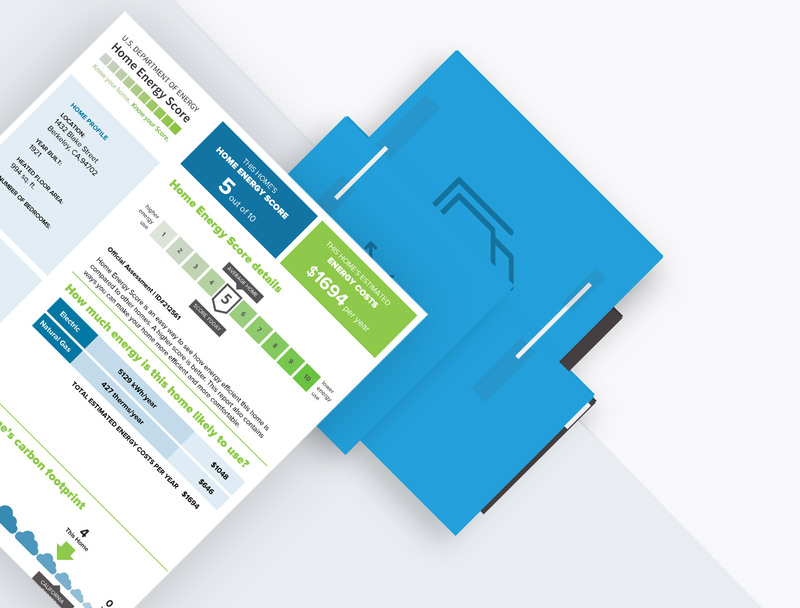 After initial testing, we provide a customized, detailed report of your home’s energy efficiency, and where trouble areas may be, and what repairs can be made to maximize your return on investment. We will discuss the results, make cost effective recommendations, and help you find a reputable licensed contractor. We’ll even show you ways to improve efficiency on your own. It will save you money, improve comfort, and the safety of your home. Most duct systems leak conditioned air on average over 30% and these leaks are often the largest source of energy loss in a home. Ducts running through attics, crawlspaces or unconditioned basements should be sealed. Duct leakage creates an uncomfortable, and potentially unhealthy indoor environment. Leaky return ducts can pull pollutants into your home from your attic, crawl space, basement or garage. Ineffective or insufficient insulation is a common problem in homes today. 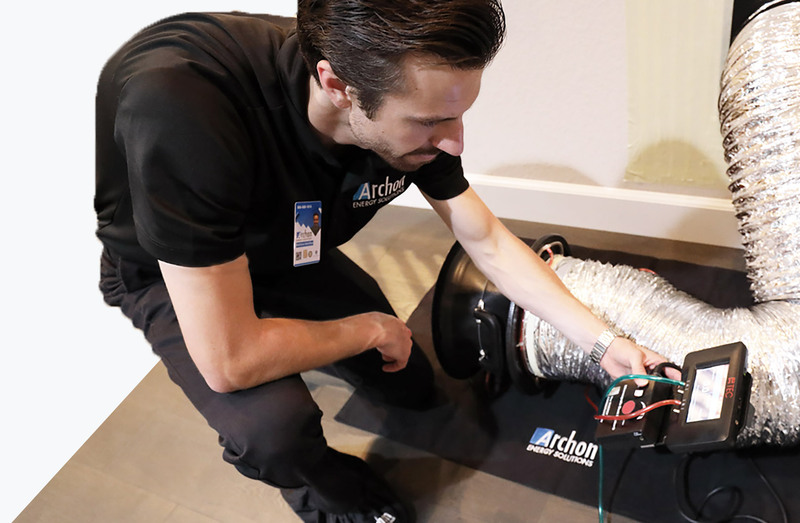 Insulation is one of the most practical, and cost-effective ways to make a home more energy efficient, improving indoor comfort by keeping it cooler in the summer, and warmer in the winter. Insulation upgrades are one of the highest returns on investment in a home. 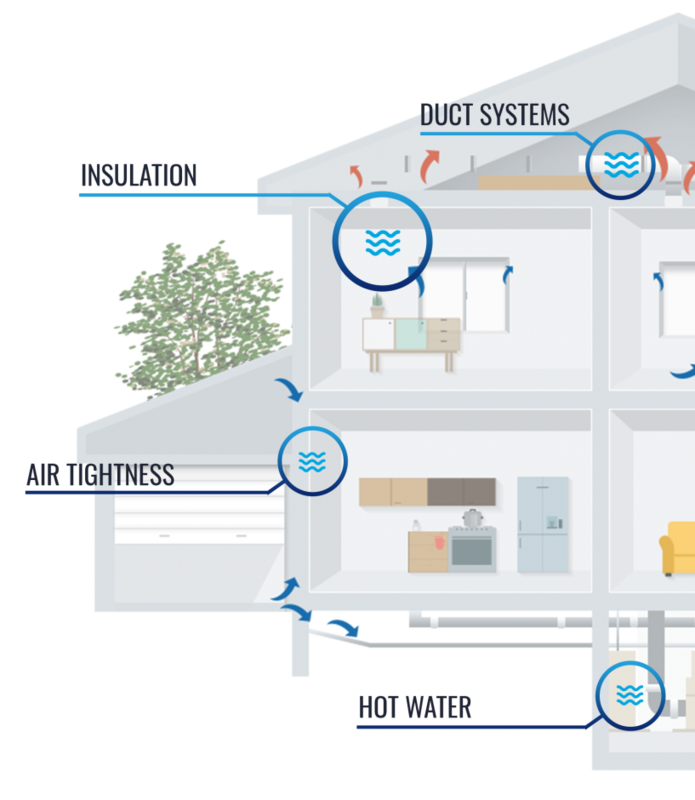 Air leaks are the most common cause of energy inefficiency. They are usually found near and around doors, windows, corners, joints, connections to home additions, electric outlets, vents, recessed lighting and other areas. The goal is to get your home as airtight as possible, while still allowing controlled and gradual air exchange with the outside. For homes that use 41 gallons or less of hot water daily, demand tankless water heaters can be 24%–34% more energy efficient than conventional storage tank water heaters. They can be 8%–14% more energy efficient for homes that use a lot of hot water, around 86 gallons per day. The initial cost of a tankless water heater is greater than that of a conventional storage water heater, but tankless water heaters will typically last longer and have lower operating and energy costs, which could offset its higher purchase price. Most tankless water heaters have a life expectancy of more than 20 years.